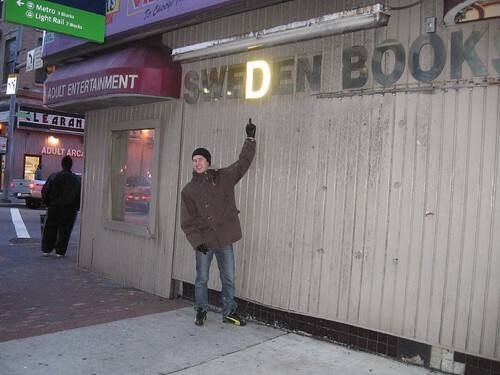 The Scandinavian trip was great and – as expected – very expensive. Once you are used to Czech prices everything in Scandinavia is quite expensive – especially for alcohol. Anyways we had a great time and got to cover a lot of ground in the 10 days the trip lasted. 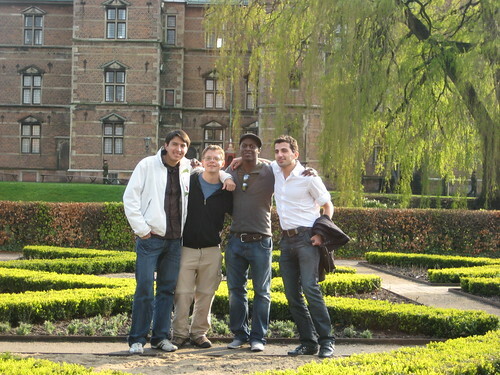 We started out with four people Andres (Ecuador), me, Femi (Northern Ireland) and Mehmet (Turkey) here in Copenhagen, King’s Garden in front of Rosenborg Castle. The best thing about the trip was reconnecting with a lot of friends. 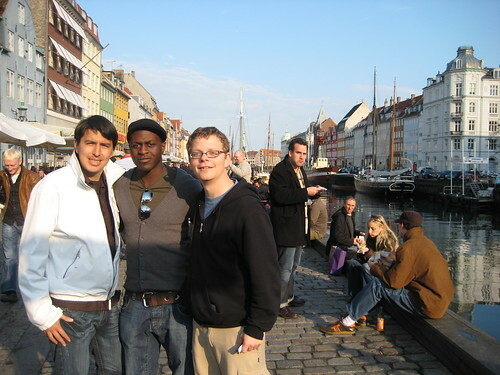 In Copenhagen we stayed and partied with Moses, Daniel and the rest of the old IAESTE Copenhagen crew. Went to concert with Sophie who was in Prague last summer. I met my cousin Rikke for some drinks, my thesis buddy Mikkel made a great dinner and my best childhood friend Johannes gave me lunch. Michael, a friend from bording school saw on Facebook that I was coming to town and joined one of the parties and old university buddies Sohl and Corneliussen joined at Christiania. It was great being back in Copenhagen on some of the early summer days and we did cover some of the touristy spots like Nyhavn. We jumped on the boat to Oslo and sailed through the night and woke up in Norway. We needed some recouping sleep after Copenhagen and the cabin on the boat was just right for that. We walked the city of Oslo for the day and met up with Mikkel from my university who showed us Vigelands Parken. After a day of strolling Oslo we took a bus at midnight towards Stockholm. After a bumpy night on the bus we came to Stockholm very early and checked in to our hostel and went out to see the town. Two more friends from Prague, Murat (Turkey) and Jeremie (France) joined us and for the rest of the trip. 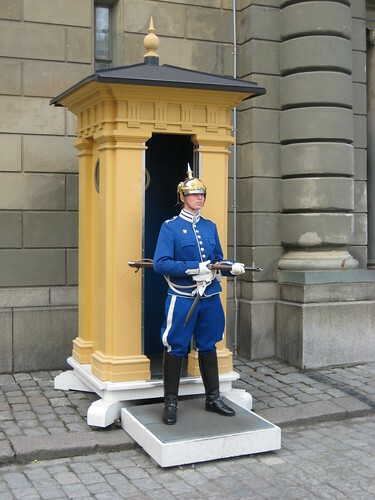 Here is a female guard from the Royal Palace in Stockholm, do we have that in Denmark? We found a cheap cabin on the boat to Helsinki so the whole grouped went further east for a cruise. It took one night in each direction and then we had a day to walk the city of Helsinki. 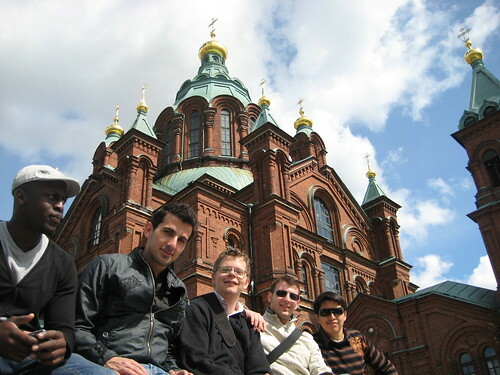 He we are in front of the orthodox church. Back in Stockholm we met up with Backsell, and Freddy two friends we met in Michigan. 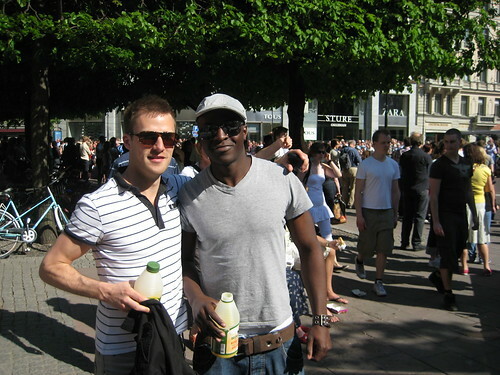 They showed us the nightlife of Stockholm and the fashionable Sturaplan in particular. After 10 days of traveling and partying it was nice to get home. 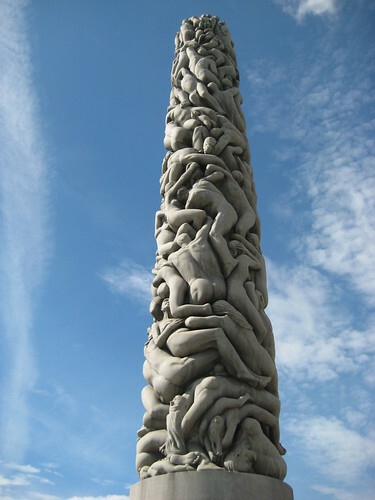 There is 200 pictures from Copenhagen, Oslo, Stockholm and Helsinki on flickr. Friday morning we are four guys heading on a tour of Scandinavia to see friends and have a good time. 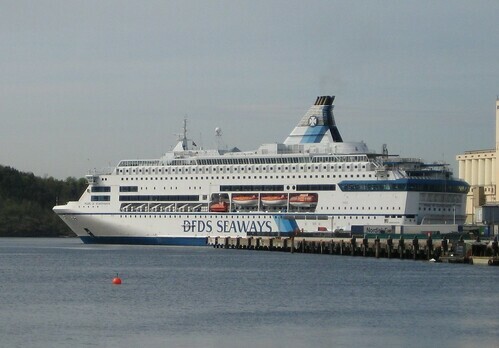 First stop will be Copenhagen for the weekend then the boat to Oslo for a day and then bus across to Stockholm. Not everything is planned out yet but I m sure we ll have a lot of fun on the way. This will be part of the group from the BeNe(no-lux) trip. Follow the progress at twitter/gelle. Update May 1st: Our hosting in Stockholm fell through so we are looking for a couch or floor to borrow from Tuesday to Thursday for two of us.